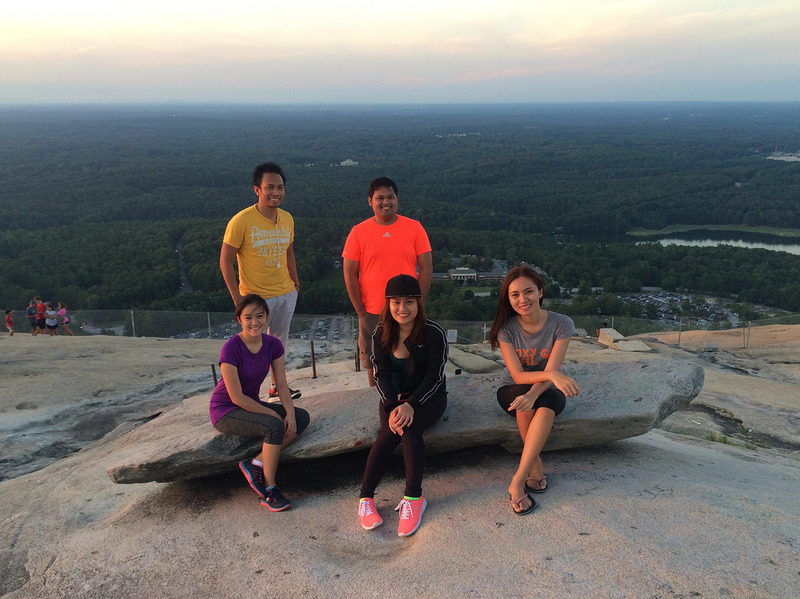 I had the pleasure of discovering Stone Mountain Park with my colleagues this past weekend. 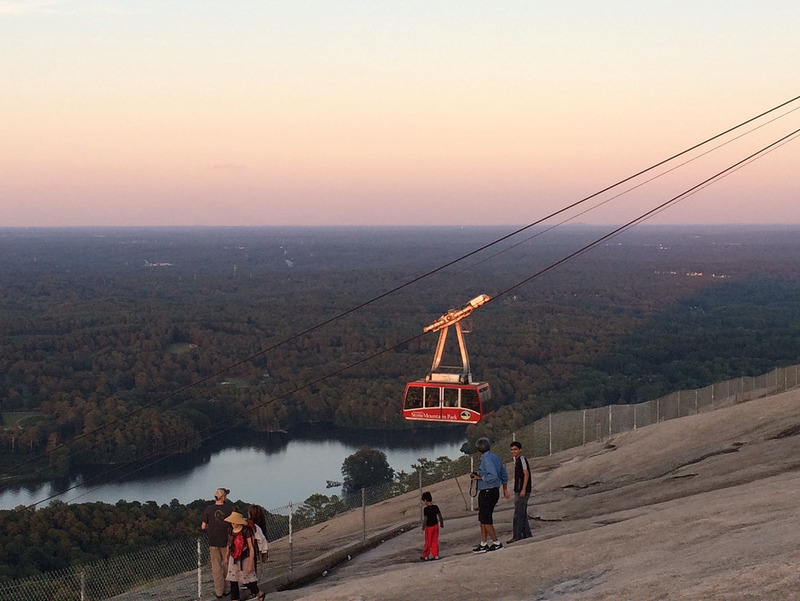 Although I was still jet lagged, I just can’t pass up this opportunity to see one of Georgia’s most popular attractions – the Stone Mountain. 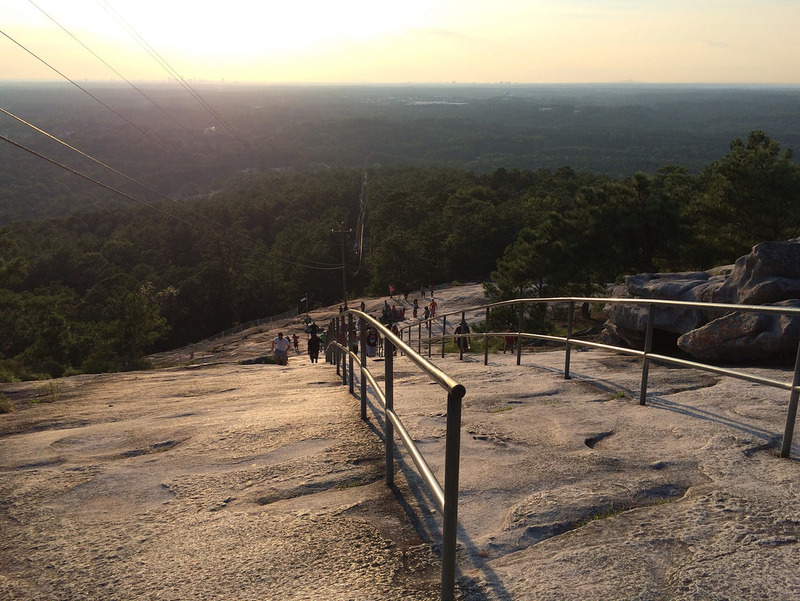 Stone Mountain is the largest exposed mass of granite in the world. It was once used by Native Americans as a ceremonial place. 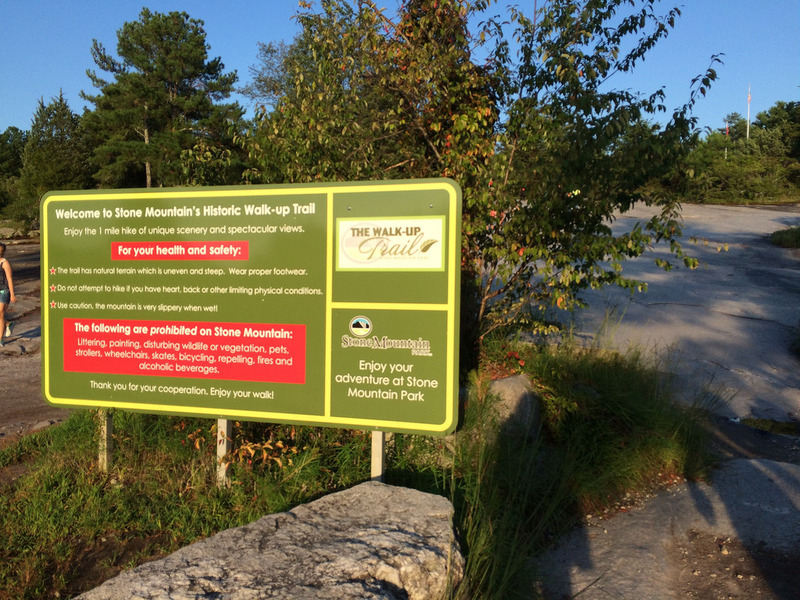 Today, Stone Mountain Park is owned by the state of Georgia. It has several hiking trails of different lengths. The Walk Up Trail is one of the most popular. We came in at the right time of the day, 6PM, just when the temperature is cool and the sun starts to set. We hiked up one-mile, to the summit and one-mile back down. It’s a fairly moderate hike with lots of boulders, rock outcrops and exposed tree roots. If you don’t want to hike to the top, you can take the SkyRide–for a fee. But, if you are willing and able, take the hike. It is definitely rewarding. The steepest part of the Walk Up Trail is marked by a handrail to help hikers get a grip. There’s a picnic shelter, about halfway up the mountain. There, you can rest and freshen up. The top of the mountain, and all along the trail, we found gorgeous vistas and interesting rock formations that make great backdrops for photos. Spectacular panoramic views stretch from the summit, the Atlanta skyline and North Georgia mountains visible in the far distance. On a haze-free day, you can see 60 miles from the mountain. Though summit views are plentiful, crowds are as well. Vehicle entry ticket is valid for access to public picnic areas, hiking and nature trails, children’s playground, walk-up trail, Quarry Exhibit, the Confederate Hall Historical & Environmental Education Center and the Lasershow Spectacular (select nights). Bicycles and pedestrians may enter at no charge. Daily parking passes cost $15, annual passes cost $40. 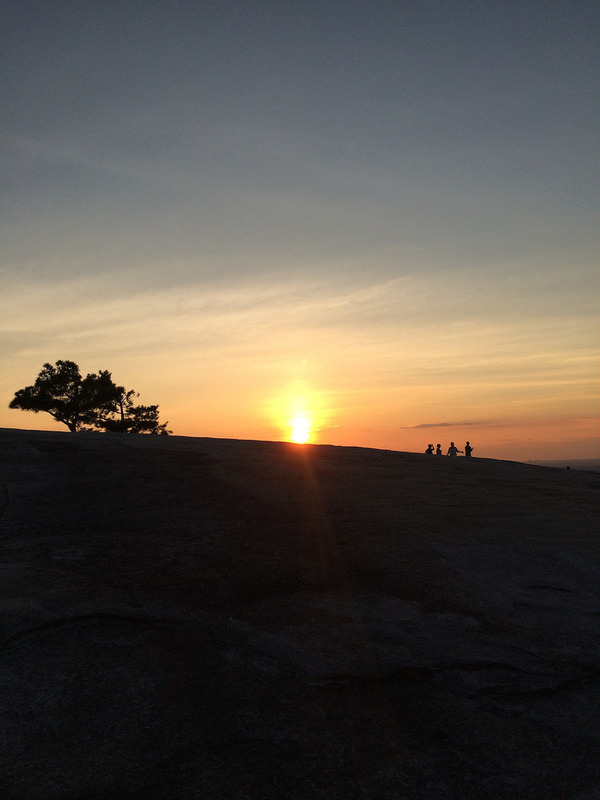 If you want to spend overnight, you can find RV parks and campgrounds near Stone Mountain Park. I have come to appreciate the effort that’s been put forth to balance modern fun, historic charm and the natural world. I would definitely come back! Thanks Justin, I would have to go back to witness the laser, I heard it’s incredible too. Yeah, I bet it would be. Keep us informed if you are it.